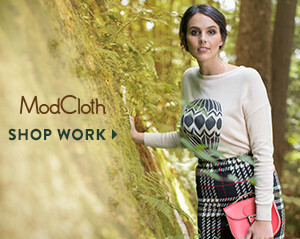 Today I thought I would share the new Modcloth look book! It's called Bicycle Belles and they are wearing some of the cutest vintage inspired outfits. I noticed most of these outfits seem perfect for a summer to fall transition. There is this gold cardigan one of the models is wearing and I swear I will get my hands on it before fall is over! I love the length of the floral skirt with those cute oxford heels! Above is my favorite picture out of the bunch, the model looks so cute! And of course she is wearing a peter pan collar... which is love at first sight. 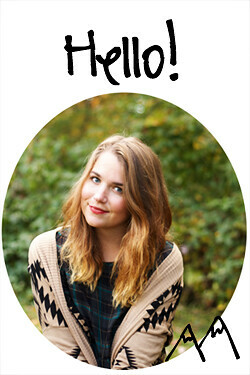 This is the cardigan I am in dire need of! 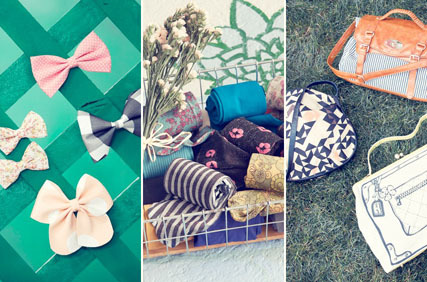 You can click on any picture to go to the Modcloth home page and check out more pictures from their shoot! 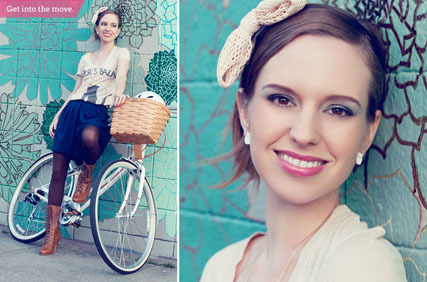 I have really been feeling bicycle chic that has been happening this past summer and spring. 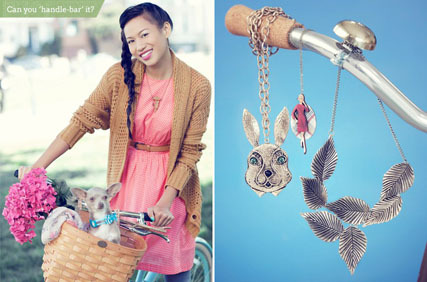 I even made a really cute bike on the Urban Outfitters website, but right now it is only a dream! Do you have an amazing bike that you can't seem to part with this summer? 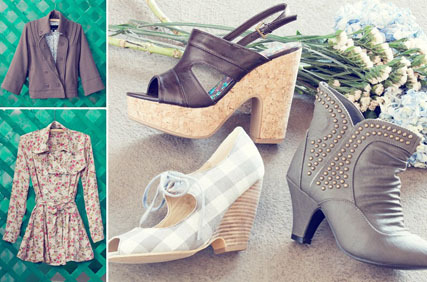 I love them all, but especially that last one with the rich blue skirt and the high-topped oxford heels. Ah! So pretty. :D The bicycles are awesome, too. Now I just need to get me one. Oh what lovely photos! I adore all the shoes. I have a bike but it's been so hot here I'm having a hard time getting up the gumption to ride it. so cute! I'm also bitten by the bicycle bug and would love a really cute one with a basket!